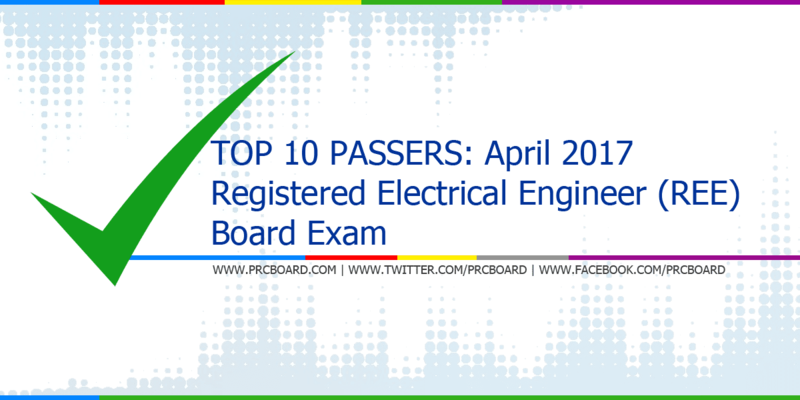 The April 2017 Registered Electrical Engineer (REE) board exam results, conducted by PRC’s Board of Electrical Engineering are released three (3) working days after the last day of board examination. Aside from the official list of passers, top 10 examinees, top performing schools and performance of schools are also posted. Kent Meyler Malones Samaranos from Mindanao State University - General Santos City ranked first in the REE exams garnering 90.90% rating. Below is the complete list of REE top examinees courtesy of PRC.